Microducts and tube bundle for building high speed internet networks. PRIMODUCT is a complete superior quality system to build cable ducts in telecommunication, power engineering and road engineering, ensure the highest operational parameters while maintaining a competitive cost for the investors and pipeline constructors. SPYRA PRIMO Poland is one of the largest European manufacturer of microducts and plastic protective tubes telecommunication. We provide all necessary accessories for the construction of road and railway infrastructure, used by professional power industry and other industries. Monthly production capacity based on the last generation of extrusion lines is 11,000 km of 5-20 mm diameter pipes and 850 km of 4-7 bundles, based on DB, DI microducts. Stable technological process, monitored in a continuous mode ensures the highest quality of products, with a flexible approach to planning customer’s supply of goods. Over 20 years of experience in the production of conduits for fiber optic cables and long-term cooperation with leading Polish and European operators, designers and contractors has allowed us to design and implement a complete system PRIMODUCT, meeting the expectations of the interested, while maintaining the competitiveness of the solution. SPYRA PRIMO was one of the precursors of this technology, offering potential contractors as early as 2011, changing the design assumptions of classic RHDPEwp 32-40 mm tubes for microducts. The PRIMODUCT system can be used both for the construction of new cable routes in any network architecture: FTTH, FTTB, FTTC, subscriber, for the backbone construction, as well as for the multiplication of the existing teletechnical system. Constant cooperation with such recipients as the Orange group, ENEL-Open Fiber, Telecom Italia and realized large-volume deliveries for the needs of such projects as Internet for Mazovia, DSS, KSBM, WSS or ITSy – confirm the quality of the SPYRA PRIMO microducts offered. The pipe system consists of thick wall DB, thin wall DI in diameters from 5 to 20 mm, LSOH micro ducts, packages based on any microducts in up to 24 pieces, tube bundles fi20 to 63 and a set of necessary connection accessories. In addition, we offer shields for teleoptical and energy cables typhic “subduct” diameters 25-63 mm and covers, pipes for core drills controlled up to 315 mm. 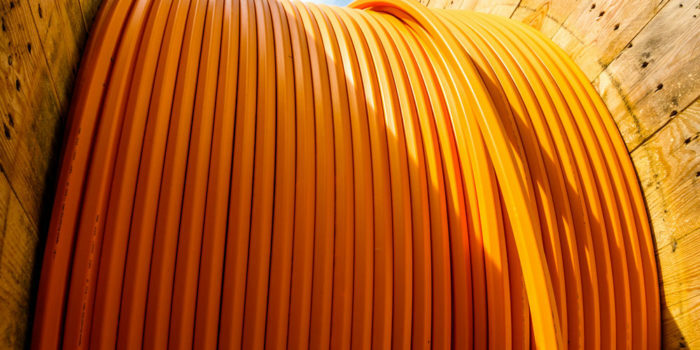 The offer is supplemented by halfpipe pipes, repair pipes, smooth plastic pipes, single and multilayer, including UV-resistant, flame-retardant, also plastic cable connectors and trays.